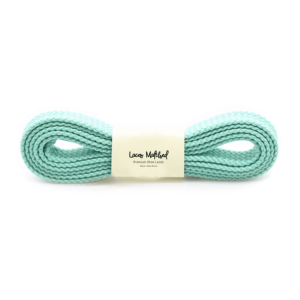 Our Pale Pink “Flat” Shoelaces are the perfect replacement shoelace for your trainers or gym shoes. Carefully designed and manufactured for a long lasting and great looking replacement shoelace. 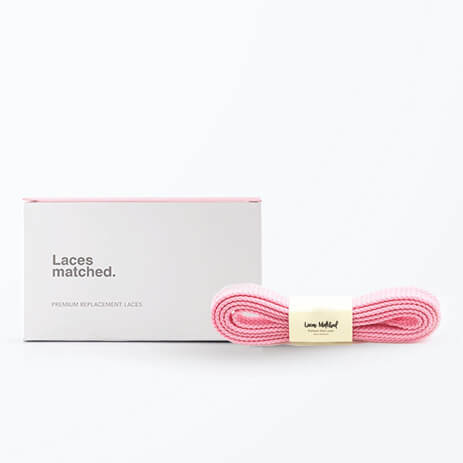 Laces Matched Pale Pink shoelaces are available in two sizes: 120 cm and 140 cm. These shoelaces will fit most major brand trainers. 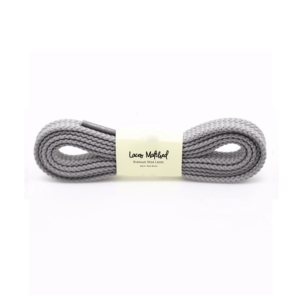 Our smaller laces will provide a nicer fit for small style laces with less eyelets. Trainers featuring 7 or more eyelets we recommend a longer length shoelace.